Some memories, some places, some people are embodiments of personalities that are quite dynamic and difficult to understand. Such things in life need to be revisited, re-looked at, and re-analysed; something the normal mind cannot easily comprehend. They go against the definition of normalcy and that’s what sets them apart. That’s what makes them remembered. Dubai, over the years, has become such a destination that makes you fall in love with it and then shocks you with its bold attitude. When the emirate of Dubai can don such an amazing avatar, there’s nothing that stops its flag bearers from flaunting its gorgeousness, and by ‘flag bearers’ we mean all its iconic structures. The Dubai Mall being one such structure of importance, has features that will shock you, make you go weak in the knee, and enchant you. Almost like falling in love. 1. A lounge with limo and porter service: With a parking facility for about 14,000 cars - Dubai Mall is the embodiment of sophistication. After a tiring trip for almost all your senses, the hospitality of Dubai mall is not only a consolation, but a blessing! Personal shoppers to assist you to select between the tangerine yellow and dandelion yellow outfits, mall buggies and porters to help you carry around all the bags that hold your newest acquisitions. 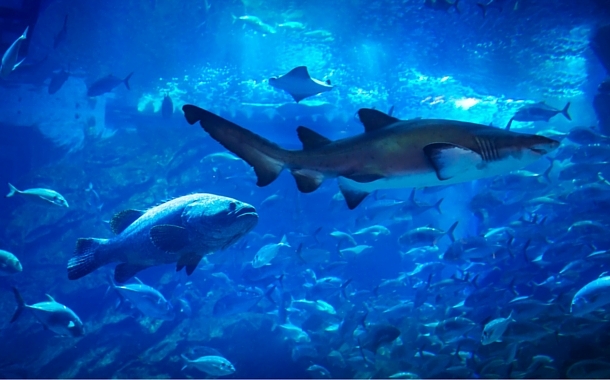 Trust Dubai to build the biggest mall in the world and then shock the world by adding one of the largest aquatic tanks in the world which allows people to go shark diving and cage snorkelling within the boundaries of the mall! Remember the time when you read all about the fantastic features of Dubai Mall and were taken aback? This is bigger than those moments. 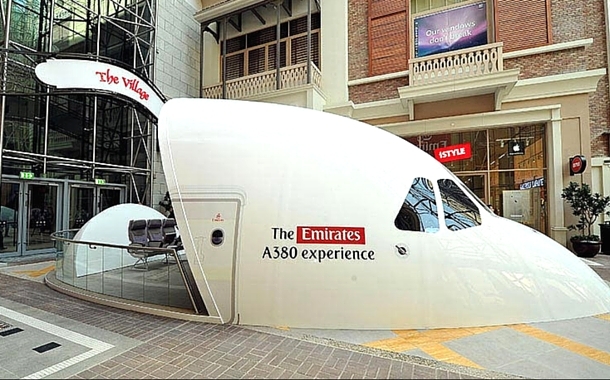 The Emirates A380 simulator takes you on a 30 minute flight to any destination that you choose from the prescribed 12. You can choose weather conditions, time of day and speed whilst you’re aboard this fancy aircraft. 4.A winter wonderland in a dynamic desert: Famous for being among the year round hot and humid destinations, The Dubai Mall offers to all who visit an experience that defies the weather! In the very midst of the mall lies an Olympic size Ice rink. Once you’re in the ice rink, it may so happen that you might forget the actual weather for that day! What’s the place of history in a mall that’s so futuristic, you ask? Well, that’s the beauty of Dubai , while being futuristic in the mind - in its heart lies tradition and a sincere connect to history. 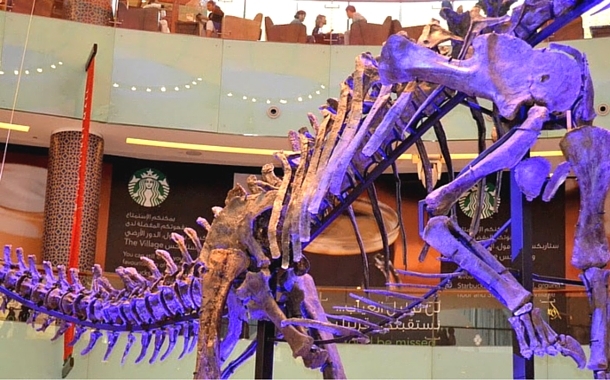 The 80-foot Dubai Dino is a rare specimen that was excavated in the Dana Quarry in Wyoming and air freighted to Dubai. Thinking of pushing Dubai on the top of your list? Dubai travel tips, holiday planner, holiday packages, offers and lots more - This Dubai holiday planner gets you covered for almost everything.